“Souping” is a method of detoxification that involves consuming only pureed or broth-based soups in an effort to flush toxins, shed weight and improve digestive function. Soup is grounding, warming, satiating, alkalizing, inflammation-fighting and naturally detoxifying. Higher in fiber and packed with vegetables, soups are more filling, satiating and sustaining than juices which are heavy in fruit and concentrated sugars. 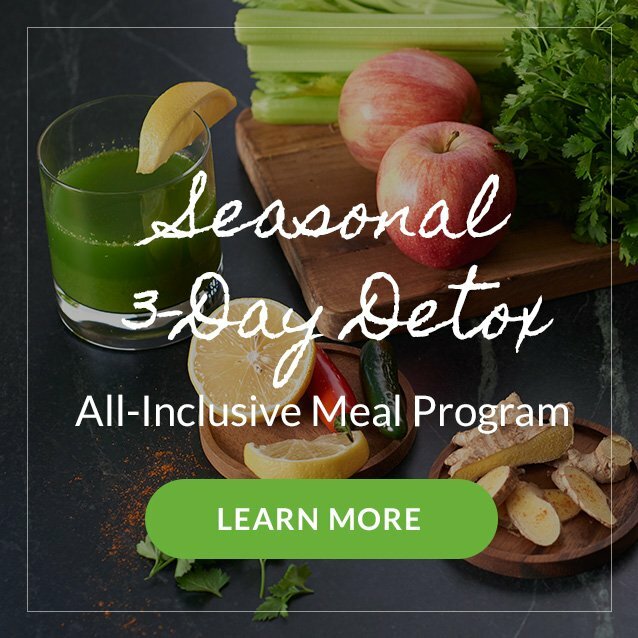 For weekly maintenance, or a gentle cleanse to reset after vacation or an overindulgent weekend, stop in Monday through Friday, from 9am – 6pm to pick up our One-Day Soup Cleanse! Incorporating more vegetables into your diet fights sickness while providing your body with the nutrients that it needs for energy, satiation, growth, repair and movement. Nourishing soups are an easy (and tasty) way to up your veggie intake. Depending on the soup, one serving may be all you need to meet your recommended daily intake of vegetables that provide many of the vitamins, minerals, antioxidants and fiber that your body requires to function optimally. Furthermore, cooked foods are already “pre-digested.” Therefore, the nutrients are easier to absorb and utilize – especially important for those with a compromised immune or digestive system. While soups are often enjoyed as part of a meal, they can also be used in place of meals. 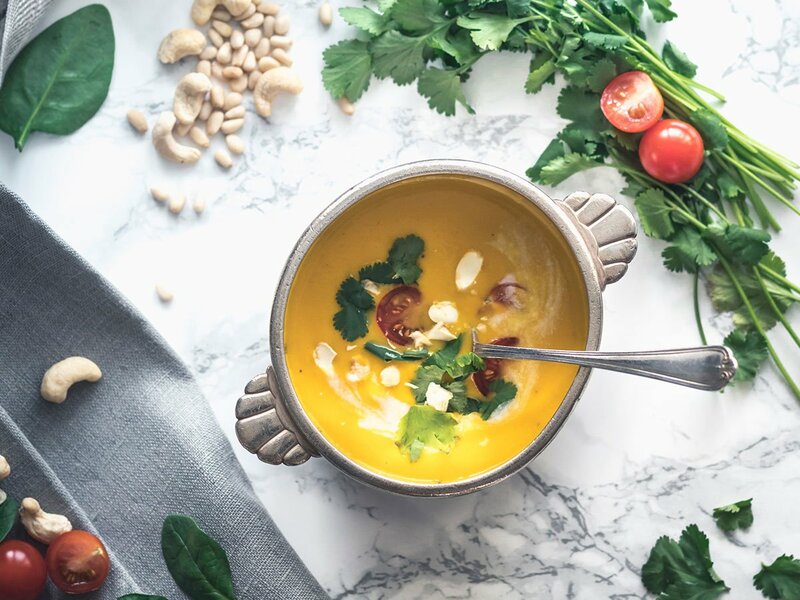 “Souping” is a method of detoxification that involves consuming only pureed or broth-based soups for a period of time – typically one to three days – in an effort to flush toxins, shed weight and improve digestive function. Meatless eating and detoxification combined in one, souping gives you a big bang for your buck when it comes to cellular rejuvenation. Souping is considered by many to be the new (and improved) juicing! If you have ever tried a juice fast, you may be hesitant to jump on another detox trend, but the two are very different. Juices tend to be more concentrated in fruit than vegetables, which easily adds up to a lot of sugar. Soups, on the other hand, are naturally low in sugar and packed with veggies. Moreover, during the juicing process, the “bulk” (aka fiber) is discarded whereas soup retains the whole vegetable, including the fiber. The lack of fiber and high amount of sugar in juices is a recipe for hunger, irritability, brain fog and overall imbalance within the body. Soups, which are grounding, warming, alkalizing and anti-inflammatory, are also chock full of healthy fats and legumes. These oils, nuts, seeds, and beans improve satiation and keep blood sugar more balanced – a win-win for everyone! In short, souping is a satisfyingly delicious way to infuse your body with easy-to-absorb nutrients. 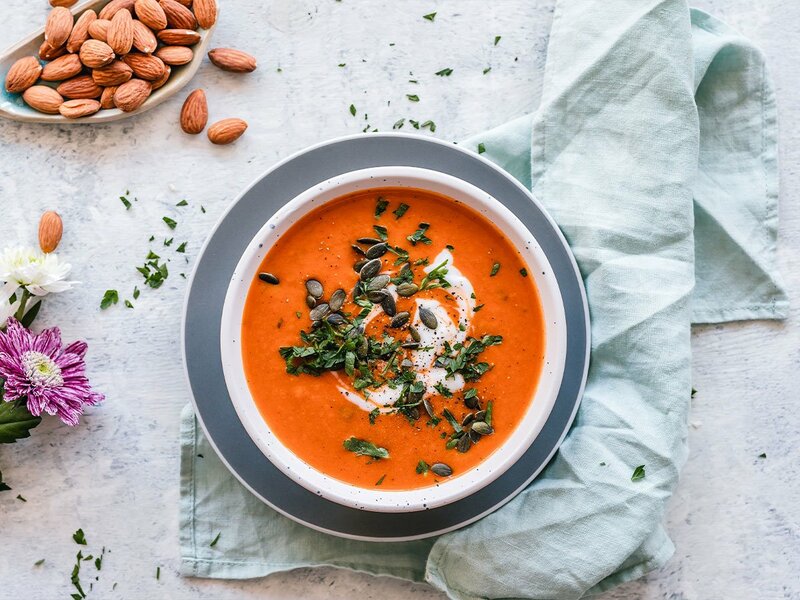 Plant-based soups can easily take you from eating minimal veggies to hitting your recommended daily intake in just one sitting! For some, a day of “souping” is part of weekly maintenance, but others use it as a gentle cleanse, great for after a holiday, vacation or overindulgent weekend. 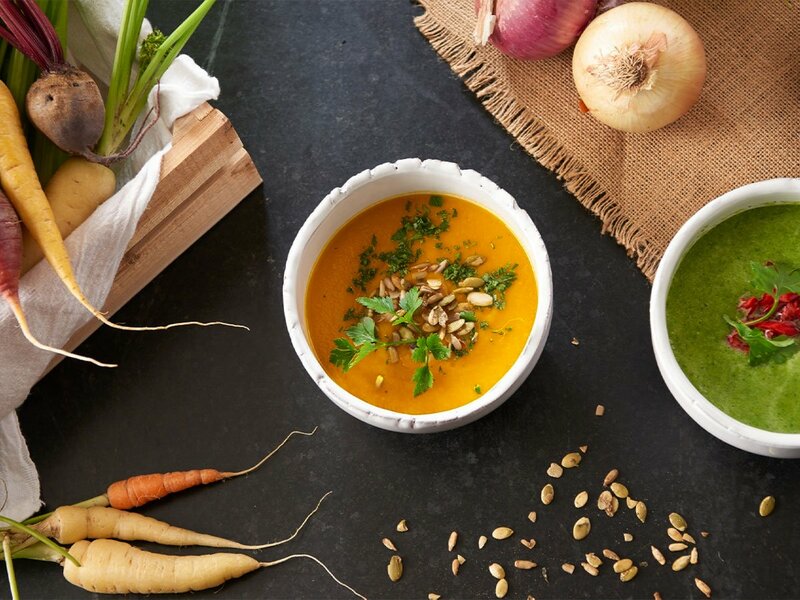 To give your digestive tract a rest and reset, stop by Nourished® to pick up your One-Day Soup Cleanse! * A full day of souping includes three servings of fresh, seasonal and organic soups with homemade garlic- and ginger-infused bone broth in between. Don’t want to commit to a full day of souping? No problem – we sell all cleanse soups individually along with our Be Nourished® everyday soups which include a Farmer’s Market Roasted Vegetable Soup, Chicken & Sprouted Brown Rice Soup or Turkey & White Bean Chili. Soups are frozen and available for pickup Monday through Friday, from 9am – 6pm. Stop in and let us help you get your soup on! *If you are pregnant or struggling with a chronic health condition, please consult your primary care physician before starting a cleanse program.